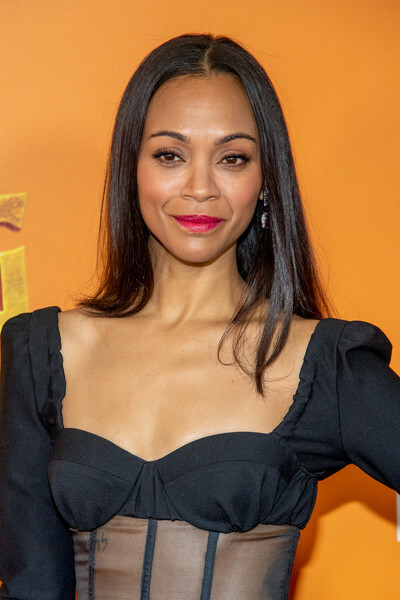 This week, Zoe Saldana was all about giving us sheer vibes on the red carpet at the premiere of Missing Link. She wore this sultry and sophisticated Rosie Assoulin little black dress with a see-through panel on the torso. She complimented her look with Jared jewelry stacked cocktail rings, and gorgeous Chloe Gosselin sandals. I also love that she kept her makeup and hair simple, but really pretty, with pink lips and hair long and loose. This ensemble is everything, don’t you think?